Your value seemed to be acceptable. Wait for your good news. Recently, my AQ6 met a problem regarding altitude drop again. Although I had tried to overcome this problem via PID, this problem occurred sometimes. Today, I read an article regarding altitude drop for Pixhawk (http://diydrones.com/profiles/blogs/los ... 1#comments). 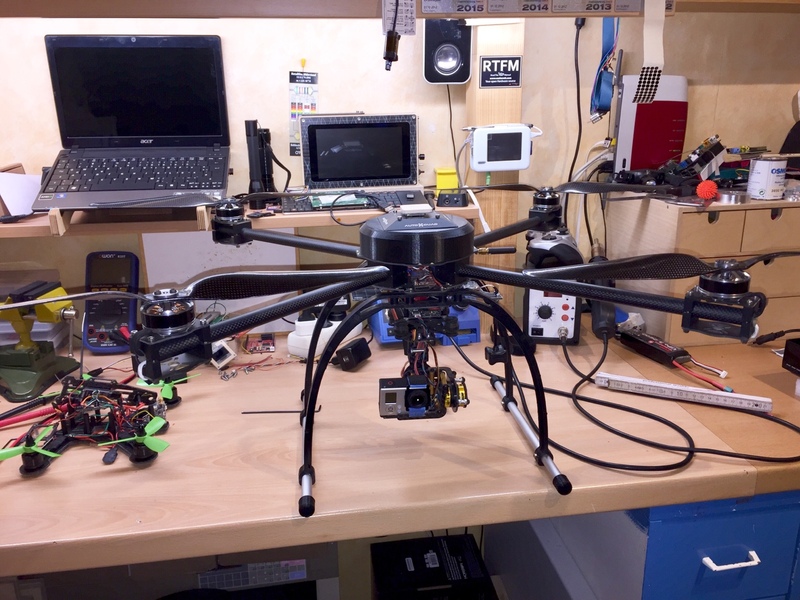 Also, I checked various AQ6 drones built by other members. Many AQ6 were associated with circle shields. Finally, I guessed the distance between my AQ6 and GPS shield was too far. So, I tried to reduce the distance. Based on the tests, altitude drop was improved. Couldn't this be related to wind passing between shield and AQ board. The wind passes over the barometer and evenwith some foam it creates a pressure change. Put the multirotor on the bench and connect to the GCS. Blow underneatch the shield and watch the altitude change a bit. So, is the circle protector as well as the figure necessary to avoid altitude drop? On my hexa the esc are close the motors to dont pertube the GPS and it is around 4cm above the AQ6. On my X8 the ESC are inside the center plate and at first time the GPS was at 2cm above the AQ6. With that config the resolution was 90cm to 70cm and it was impossible to get a good RTH without loss of altitude. Only putting the GPS at 4 cm above the AQ, I get 33cm of resolution. On the hexa as the ESC are close to the motors the GPS resolution is a little bit better. I will try your suggestions again. I'll 3D printed a "cover" for the AQ, to protect against wind and other "things".